The City of Sarasota will soon begin delivering new recycling carts for residents as it launches its single-stream collection service. The 65-gallon carts will replace the smaller bins currently used for residential recycling. All recyclable materials can be placed together in the new carts. Approximately 15,000 carts will be delivered to residential customers through the end of March. 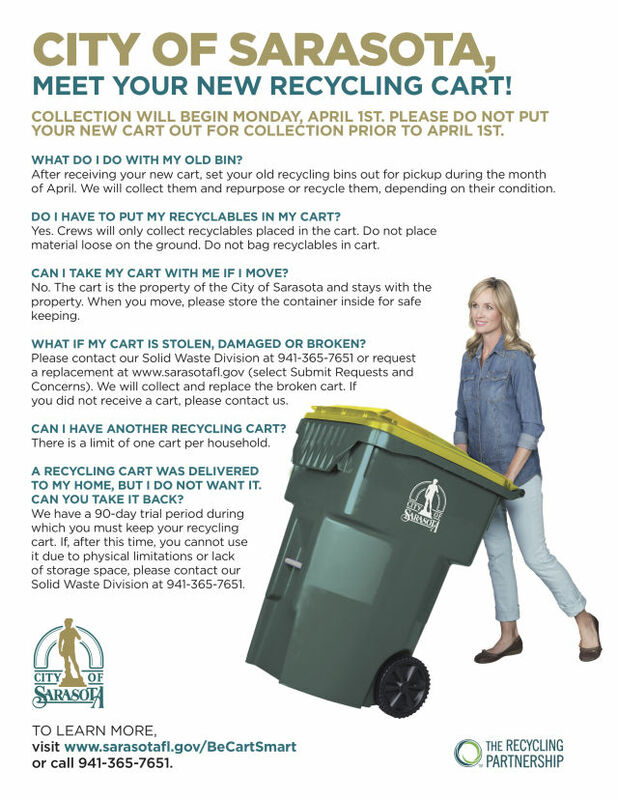 Residents can start using those new carts on their regular collection days beginning Monday, April 1.